Want to spend more time crafting? 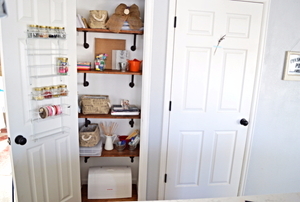 Put your supplies in an easy-to-access space so that you can use them more often! 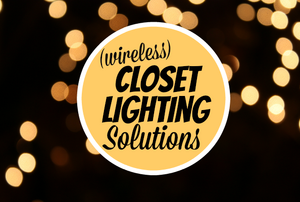 Brighten up your closet in the new year (if only so you can see what junk you need to get rid of). 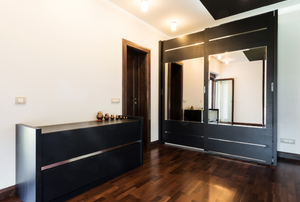 When it's time to update your mirrored closet doors, you can remove them, replace them, or disquise them. Sliding closet doors make getting to your clothes easy — that is, until they jump off the tracks, stick, or won't shut properly. Why don't moths like this smell? It's great! 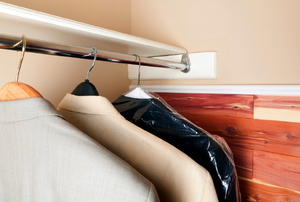 An adjustable closet rod can make some much needed space available for hanging your clothes in your closet. Double Closet Rod = Double Closet Storage Space! 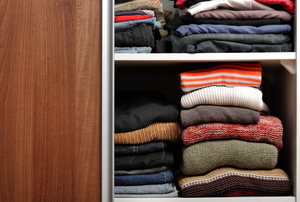 A novel way to organize your child's closet—and life—is to implement a 5-day closet organizer. Closet Door Options: Bifold or Sliding? Small closet space can be problematic if you have too many clothes and not enough space to put everything. Mirrored closet doors are one way to update the look and feel of a bedroom as part of a remodeling project. Having the perfect office closet creates the storage space you need to keep your office properly organized.